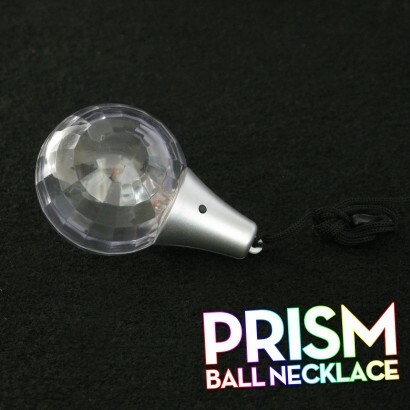 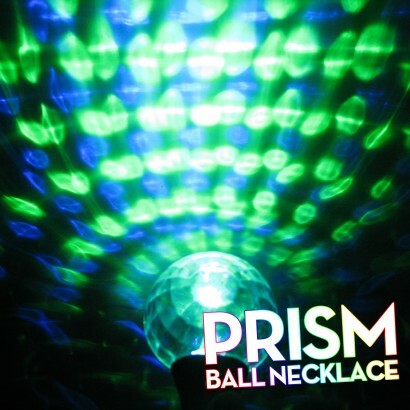 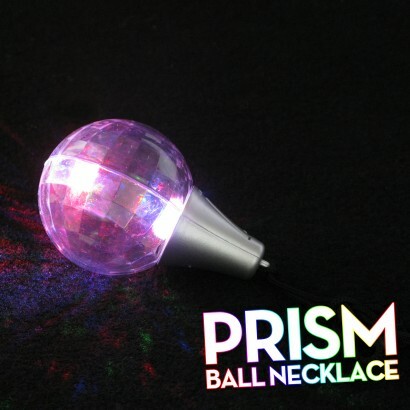 The Flashing Prism Ball Necklace Wholesale is a clear prism ball filled with multicoloured flashing LED's that project onto surrounding surfaces for incredible light effects! 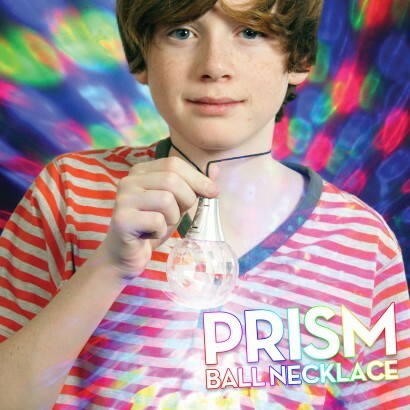 Choose from fast flash, slow flash and colour phasing modes to see mesmerising light effects shining from the faceted prism ball that can be worn around the neck for hands free fun. 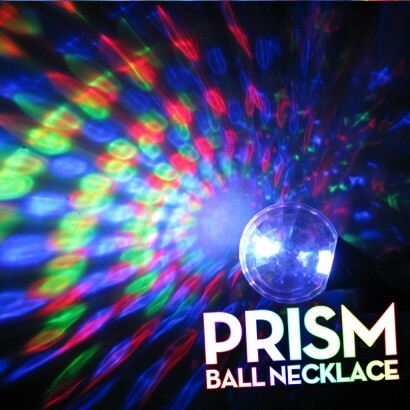 Perfect for kids birthday parties and school discos.